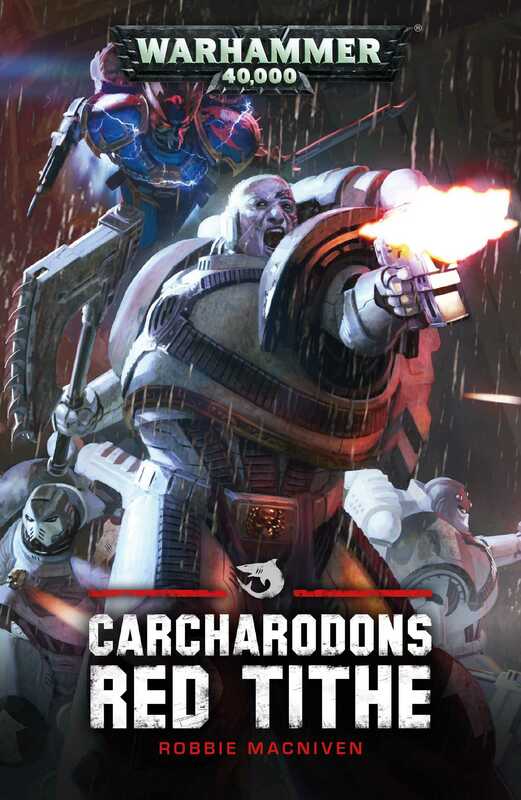 The most brutal of Space Marines, the Carcharodons Astra, battle the Night Lords for control of the prison world of Zartak. On the prison world of Zartak, darkness has fallen on arbitrators and inmates alike. The Night Lords have come, and with them the shadow of fear and pain. But they are not the only ones with an interest in Zartak. From the void, running on silent, another fleet emerges. Its warriors are grey-clad and white-faced, and their eyes are as black as the Outer Dark – the savage Carcharodon Astra. As these two packs of ancient, merciless predators stalk the shadows of the prison colony, both seeking a single young inmate with unnatural talents, the corridors run red with blood, and both factions will have to fight tooth and claw to leave Zartak alive.